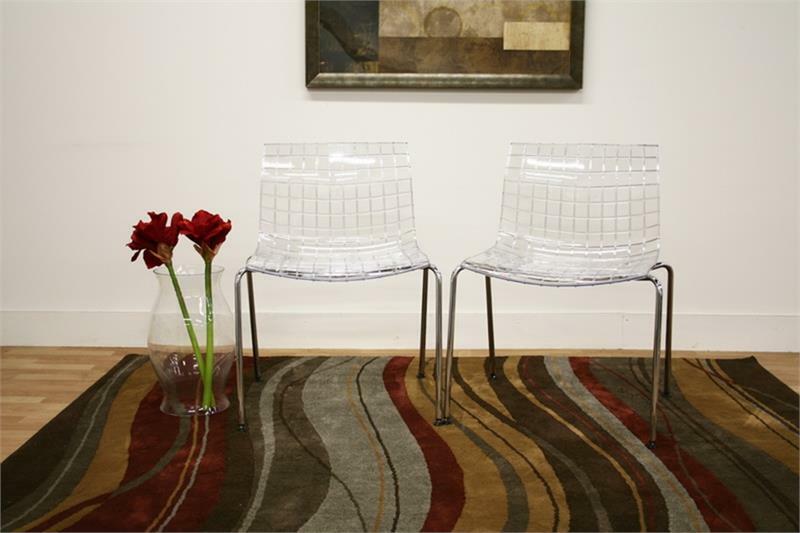 This transparent clear acrylic chair draws its inspiration from the shape of a square. 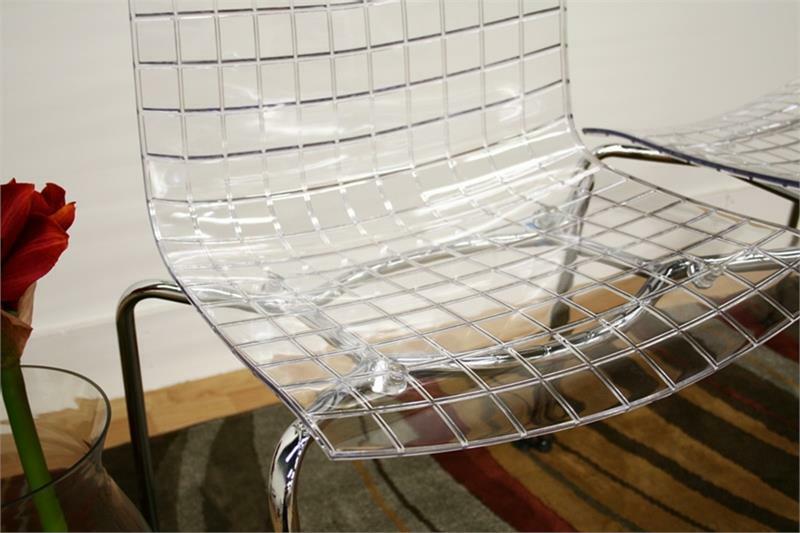 From the seat itself to the dozens of squares molded into the acrylic itself, it can be seen in nearly every inch of the design. 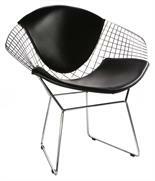 The base is made of chrome-plated steel tubing and includes ball and socket feet in a black plastic. As a bonus, these chairs are stackable. 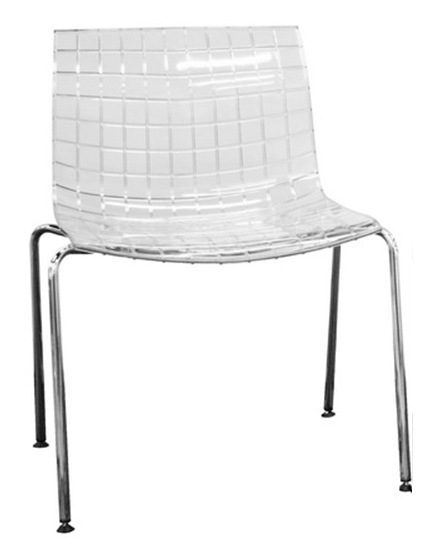 They are sold in sets of two and require some assembly. 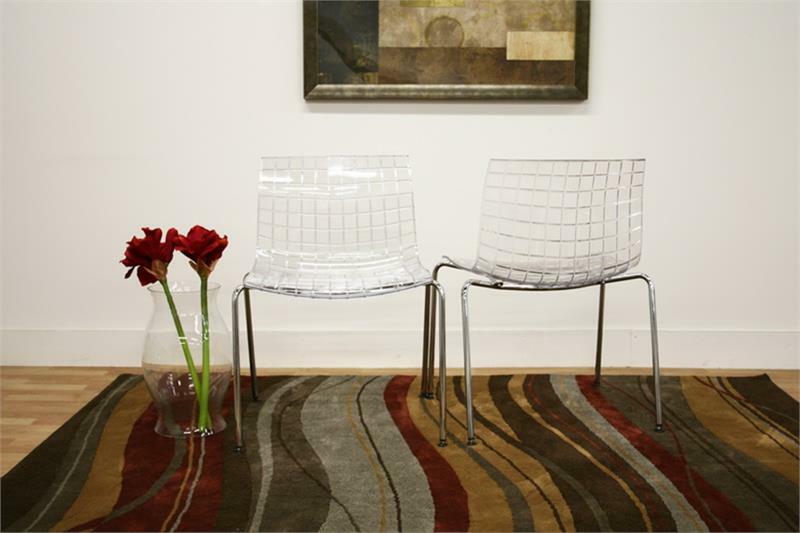 Benni Clear Stackable Acrylic Accent Chair suited for any environment.